After a long and full life, J Parke Mellinger of Willow Street, PA passed away on January 25, 2018 in his 99th year, at home surrounded by family. He was preceded in death by his wife, Ruth E. Mellinger (1994), his daughter Joan (2010), and sons-in-law Michael Patton (2013) and Robert Curtis (2015). Survived by his son H. Charles (Madeline), of Jupiter, FL, daughters Margaret Patton of Lancaster, PA, Marianne Mellinger (Kenneth Hull) of Kitchener, Ontario, Ruth Martin (Wayne) of Willow Street, PA, and many grandchildren and great-grandchildren. Parke was a lifelong resident of Willow Street, PA and, along with his brother, a third-generation owner of B.G. Mellinger and Son. Exemplary business practices, hard work, along with honest and generous customer service were important company values. 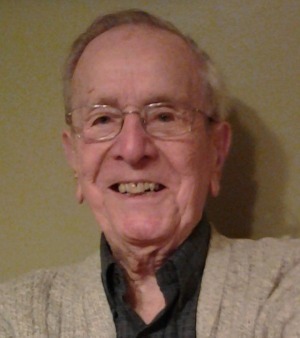 He was a dedicated member of Byerland Mennonite Church where he served on many committees and contributed to the life of the church community in large and small ways. Active in the local community, he was a former president of both the Penn Manor and the Lancaster County School Boards. He also served on the Lancaster County Vo-tech Board. Following his retirement in 1991, he volunteered with the Mennonite Central Committee, the Lancaster General Hospital and the Main Street Closet. Parke was an ardent Phillies fan and attended games in nearly all of the Phillies stadiums. He was a voracious reader, a keen devotee of PBS news, an avid gardener, and a formidable Scrabble and Sudoku player. He enjoyed cooking and baking the perfect chocolate chip cookies and apple pies. He loved his family. Parke will be remembered by his family as a humble man with a generous heart. He led by example- he believed that what you say and do matters. He was guided by his compassionate conscience and taught his family to act justly and with kindness to all. A memorial service will be held at Byerland Mennonite Church, 931 Byerland Church Rd, Willow Street, PA 17584 on Saturday, February 3, 2018 at 11 AM. Interment will be private at the convenience of the family. Contributions in Parke’s memory may be made to the Mennonite Disaster Service, mds.mennonite.net or to the Mennonite Central Committee, mcc.org. I only know of this kind man from church! He sat in the row in front of my family and I at Byerland Mennonite Church every Sunday! He was a blessing to get to know and he was a kind gentle man! He was always very friendly and nice! He will be missed dearly! I was saddened to learn of the death of your Dad. He certainly lived a long and productive life. You are all in my thoughts and prayers at this time. Remembering the good times will give you solace. Marianne, I think of you and regret our losing touch. I hope you and your family are doing well.